It's officially SPRING! 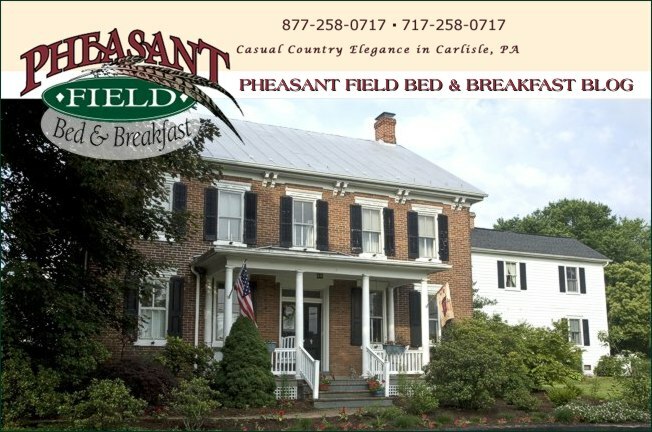 The weather is absolutely beautiful today at Pheasant Field Bed and Breakfast - great for the first day of spring. We will continue our March Maple Madness through the month. Maple recipe tip for today: if a recipe calls for honey as one of the ingredients, substitute real maple syrup in place of the honey. You will get the same sweetness with a certain "je ne sais quoi" flavor that you will enjoy. The arrival of spring also signals that the opening day of trout season in PA is coming up soon. We can help you find a great fly fishing guide for your visit to our world famous streams - the LeTort and the Yellow Breeches. Make your reservation now for your fly fishing getaway!